The thought of the family descending (even though it is his side this year) is not filling Dad with festive joy. He won't be allowed to watch the Top Gear Christmas Special, the DIY tools will have to be removed from the Kitchen BACK TO THE SHED WHERE THEY BLOODY BELONG and Auntie Geranium always takes his favourite chocs from the Quality Street. On the upside 'tis the season to eat as much as he wants without 'the eye of Sauron' appearing over the paper questioning whether that amount of butter is good for the cholesterol…Dad is hard to buy for because he doesn't feel he needs anything and can't stand waste. 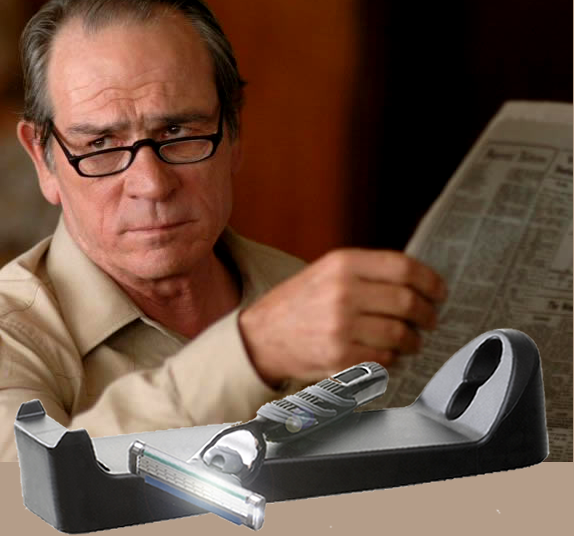 Solution: Razorpit Razor Sharpener - £20.